The sessions will be held in the Adult Education centre in Donegal, from 5pm to around 6.30pm, and Coláiste Cholmcille in Ballyshannon, from 7.15pm. 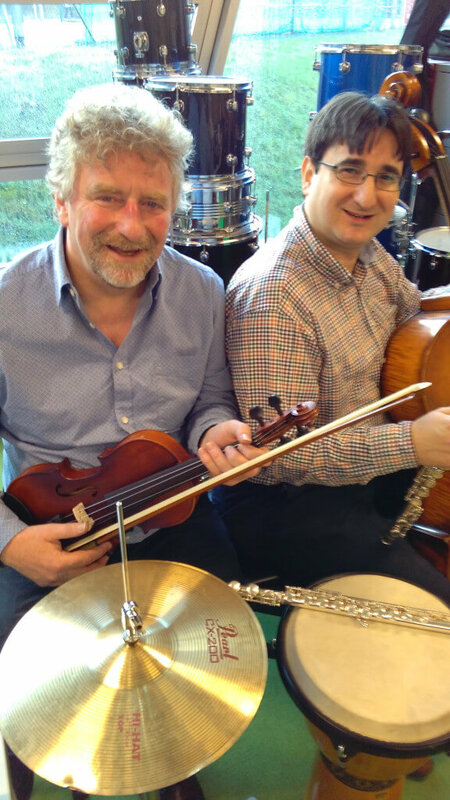 Musicians on hand will include fiddler Martin McGinley, who works with the DMEP; the cellist Victor Yélamo; and Don Swain, who teaches flute, sax and oboe (pictured – Martin, left, and Victor). Martin says the sessions are very informal. Martin says the DMEP hopes the come-and-try sessions will help them expand the classes they already offer in Donegal Town and Ballyshannon. “So far in Donegal Town we have tutors for piano, brass, violin, flute and cello. Victor Yélamo has also been working with our local Junior Strings ensemble. They had a great time on a tour of local schools in June. 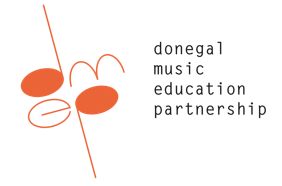 Anyone who’d like more information about the DMEP or the ‘come and try’ sessions next Tuesday is invited to email martinmcginley@donegaletb.ie or ring the DMEP office on 07491 76293.